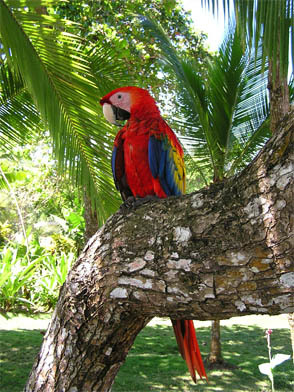 Do you have the pleasure of visiting Costa Rica regularly? Do you dream of retiring and leaving the fast-paced world behind you for your own place in paradise? Costa Rica pulls at the heartstrings of many; it’s up to you to respond. If there’s a spot for Costa Rica in your future, you’re in the right place right now. Dominical Real Estate has worked hard to offer the services that we do. We strive to instill in our clients confidence in us and in themselves to make the best decisions and a wise investment. We bring to the table knowledge, experience, resources, and old-fashioned customer service. One thing that sets us apart is our genuine love for the country. We aren’t here to exploit it, make money off of its real estate, or even do our job from a distance. We immerse ourselves because number one, it allows us to be better at our profession, and number two, who wouldn’t want to be immersed in the culture and surroundings of Costa Rica? Whoever said you can’t mix business and pleasure never worked in Costa Rica. We can show you listings galore. If a condo is what you have in mind, you’re just a few clicks away. The opportunities are endless. Condos make for great vacation rentals, so if you don’t plan on residing in the premise year-round, you could easily rent it out to make a profit off of your investment. If you prefer to keep it all to yourself, that’s understandable too. The most common condo listing is one with ocean views and a pool. The living can’t be too bad there. Whether you know you want to see only condos for sale or are open to other property types, we’d be happy to assist with your search.